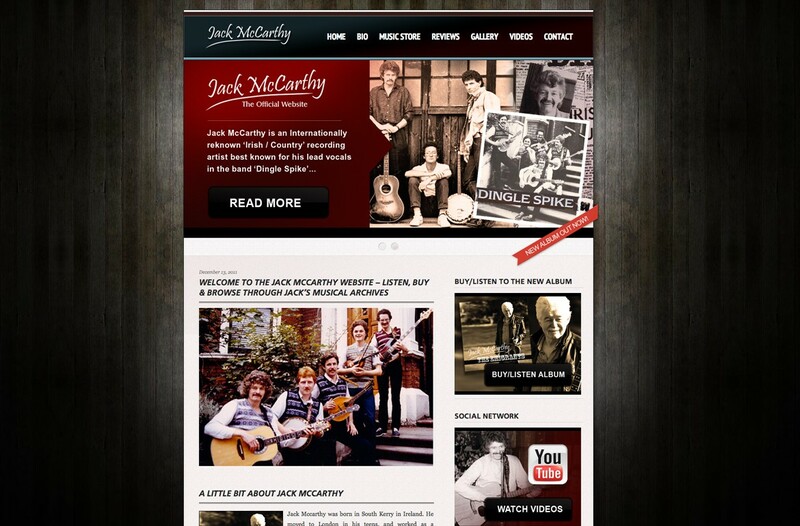 Jack McCarthy is an internationally re-known ‘Irish / Country’ recording artist, best known for his lead vocals in the band ‘Dingle Spike’, formed in the late 1970’s. The solo artist knows the ways of the world, and is a real troubadour whose songs reflect his life. 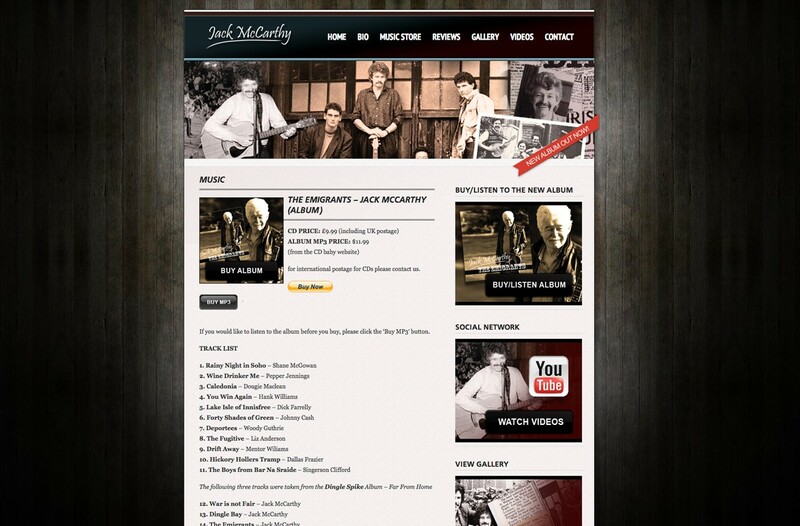 The client asked us to produce a website to enable him to sell his music past & present online. 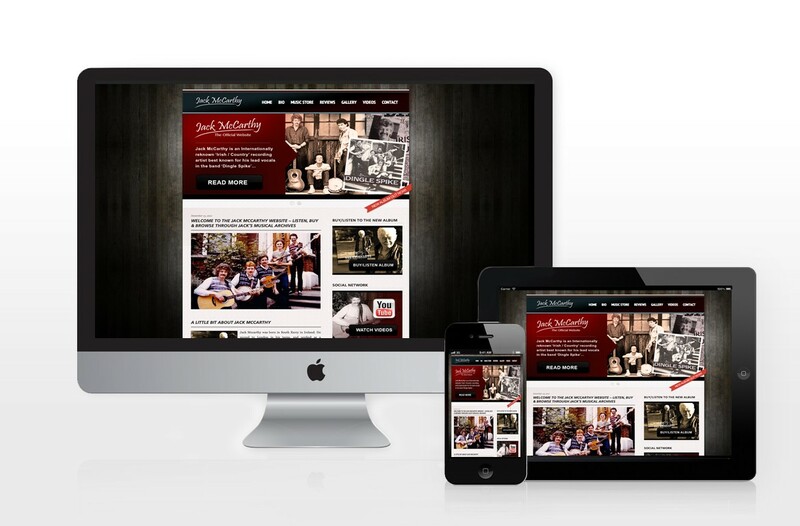 We were able to deliver a website with a rustic feel to work with the clients existing merchandise and branding.